Welcome to Canada’s Premier Cross Country Ski Destination. 105km of daily groomed corduroy. Register Now Cash registrations are available for the BeerCanBeiner and Turkey Trot. From November 23rd to 26th, Sovereign Lake Nordic Club and SilverStar Mountain Resort Ltd are hosting events that will convert our traditional ski party into a festival. Fun is the mission, and there are activities for every level of skier from beginner to elite racer. From ski demos to lessons this festival is about getting you out on your skis. Whether it is day 1 on skis or day 20, there are terrain options to suit your needs. We are high up, at an elevation of just over 1600m, and it can take a couple days to acclimatize. With an anticipated 30km of ski terrain open between Sovereign Lake and SilverStar we guarantee there is something for you. 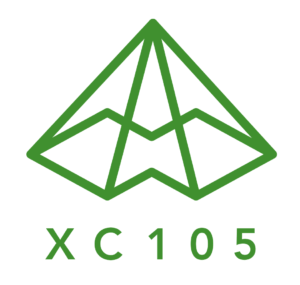 If you a want to become a better skier, an XC SuperCamp is a great way to achieve those goals. The mountain has a long history of hosting early season clinics, dating back to 1986. As a festival bonus, we are offering 10% off Camp 3 (Nov 27 to Dec 1) if you buy a four day festival pass. Camps 1 and 2 are concurrent with the Festival. If you are a racer, this is your chance to do an early season elevation camp just like the pros. Sleep in SilverStar village (1,600m/5,250 ft), ski up to the top (1,900m/6,250 ft). For a high/low camp, roller ski, bike or run down in Vernon (400m/1,300ft), just 25 minutes away. The early season training options are endless! Bring your whole team to experience the best of what high elevation skiing has to offer. There are four ‘races’ during the weekend if you really want to pin it: the 1st Annual “BeerCanBeiner”, and the Turkey Trot. Want to win a prize? Skiing fastest won’t help you this weekend. Some people will try to win anyway, but it takes a dedicated person to ski past a chocolate station at race pace. See event details on the tabs above. Four days of skiing on both systems. Free entry to night skiing. Free entry to the The Gambler Time Trial. A 20 minute massage for $5 (space limited, apply at ski demos). Friday, Saturday and Sunday skiing on both systems. A 20 minute massage for $5 (space limited, apply at Saturday ski demos). Will there be snow by November? 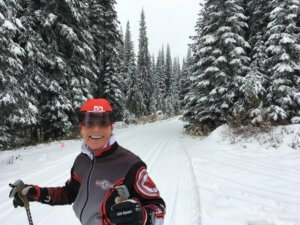 Sovereign Lake and SilverStar are not immune to global warming, but we have had at least 30km of trails open and set for this weekend the last 19 seasons. This year, we had snow before the scheduled November 10th opening day. Sovereign officially opened with 20km of track set on November 4th, growing to 35km a week later. All smiles on October 14th, 2017. There are a few volunteer roles left. Email [email protected] to get yours. Chocolate Meister (3 of): Learn to make perfect drinking chocolate according to instructions from Thomas Haas. Make and serve chocolate at aid station Sunday from 8:00 to 10:00. Photographer (2 more): Take good photos at some of the events. The photographers can agree who does which event. Photoshop or image editing person: We need someone to put together art for the Festival (signs, Festival pass designs, a poster). Social Media: We need someone to be present to post content on behalf of the club that reflects the message of the festival and the fun people are having at it. There are accommodation options in SilverStar village and the city of Vernon. SilverStar has ski in/ski out options and is at 1,600m elevation. It is walking distance to some of the events. Vernon is a much larger community with a wider choice of accommodation and restaurants, but is a 25 minute drive from the skiing. It is also much lower, 400m elevation, which is valuable for racers who want to do a high/low camp during the Festival.